The best folder structure is the one that is easily adapted to the way you work. 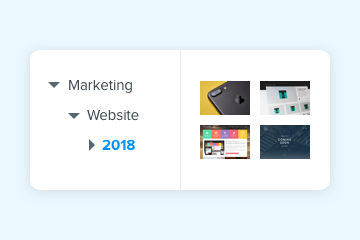 Whether you prefer to manage your creative projects by time span, project type or even theme, Ziflow's folders are flexible enough to accommodate your workflow. 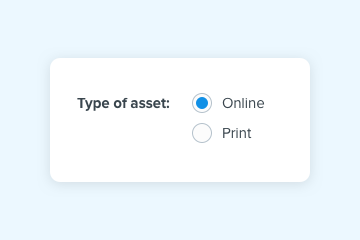 With filters, you can quickly narrow your proof list via a wide range of attributes, such as proof status, owner, when it was created, its name or even which folder it sits in. Filters can be saved (and edited) for ongoing use as well. 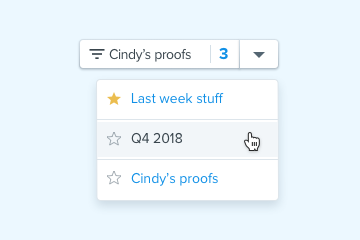 You can customize your default proofs list view on an ongoing basis, changing default columns to also include views for your custom proof properties. 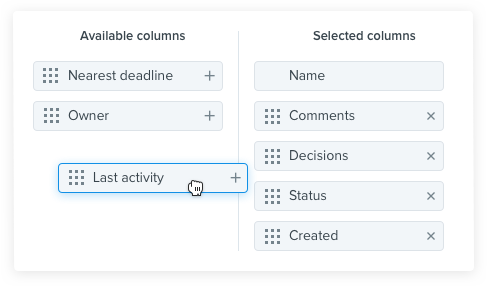 This is another great way to implement your workflow and processes within Ziflow. Create or move proofs to any folder; nest folders within folders; create private folders when needed. Filters help you quickly zero in on a family of proofs, grouped however you run your projects. There’s no limit on filters or returned results. Easily create your own properties to match your internal naming conventions or tagging system and use them with filters and views.